The Texas Tribune is joining with the Center for Public Integrity to publish a series of articles on the Permian Basin. 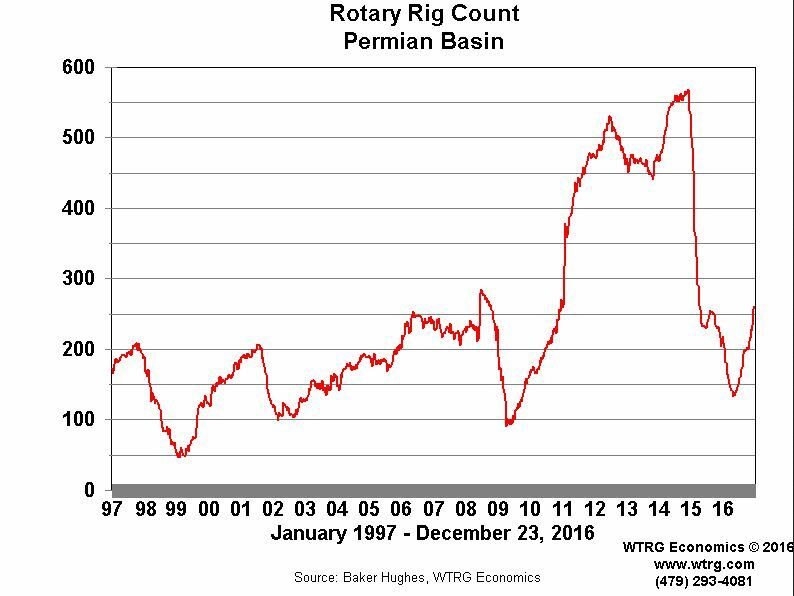 Called “Blowout,” it is the result of eight months of study of the impact of the Permian oil boom. The first article can be found here. And on CBS’ “60 Minutes” last night, President Trump backed off his claim that climate change is a hoax, but he said he doesn’t know if its man-made. “Something’s changing and it’ll change back again. I don’t think it’s a hoax,” he told Brent Stahl. “But I don’t know that it’s man-made. I will say this. I don’t want to give trillions and trillions of dollars. I don’t want to lose millions and millions of jobs. 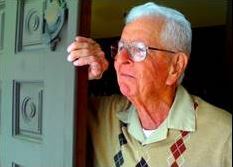 I don’t want to be put at a disadvantage,” he said. “Look, scientists also have a political agenda,” he added. Our firm is hosting our 5th annual seminar for Texas land and mineral owners on topics of interest in oil and gas law. We have a great lineup of speakers, including Idalia Romanos on royalty audits, Peter Huddleston on current shale development activity in Texas, Mary Keeney providing a case law update, Allen Gilmer of Drillinginfo, and yours truly on allocation wells. 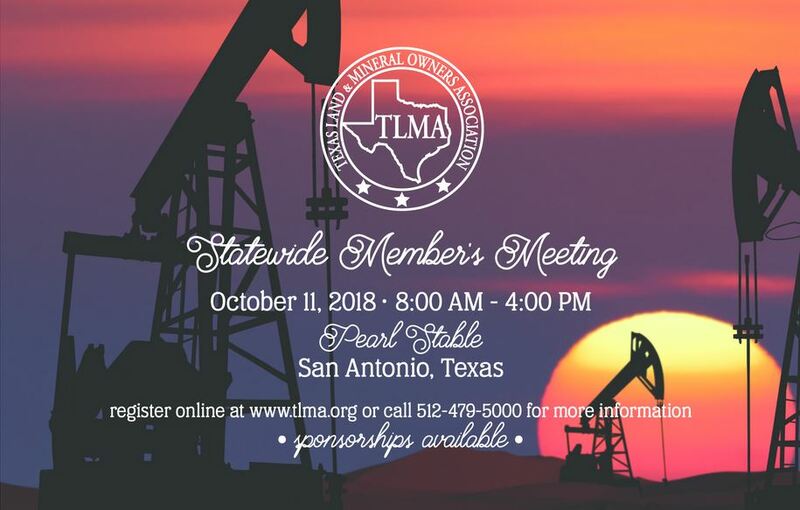 Texas Land & Mineral Owners Association is having its Statewide Members Meeting on October 11 in San Antonio. Information here. It is a good organization and a good meeting. Join up and attend. 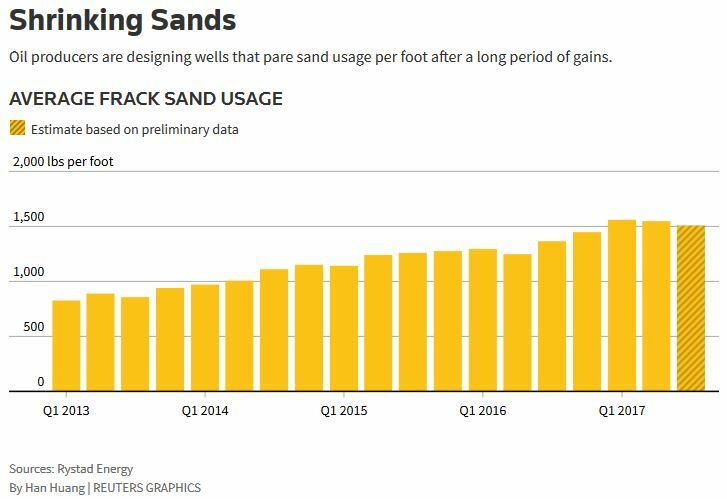 The rising cost of sand is causing producers to reduce its use in fracking. See article from Reuters. Reduced demand for sand could cool the Permian sand mine boom. According to the Houston Chronicle, the lower cost of Permian sand could cut operators’ sand costs by 40%. This article appeared yesterday in the New York Times: Land Rush in Permian Basin, Where Oil Is Stacked Like a Layer Cake. Exxon announced a $6.6 billion deal to buy the Bass family’s position in the Permian. Noble Energy agreed to buy Clayton Williams Energy for $2.7 billion, acquiring Williams’ 120,000 acres in the Permian. Anadarko announced it is selling its Eagle Ford shale leases to Sanchez Energy and Blackstone Group for $2.3 billion so it can concentrate on developing its leases in the Permian. SM Energy and EOG Resources are also selling assets in other fields to acquire larger interests in the Permian. According to the Times, there have been more than $25 billion of mergers and acquisitions in the Permian since June last year. 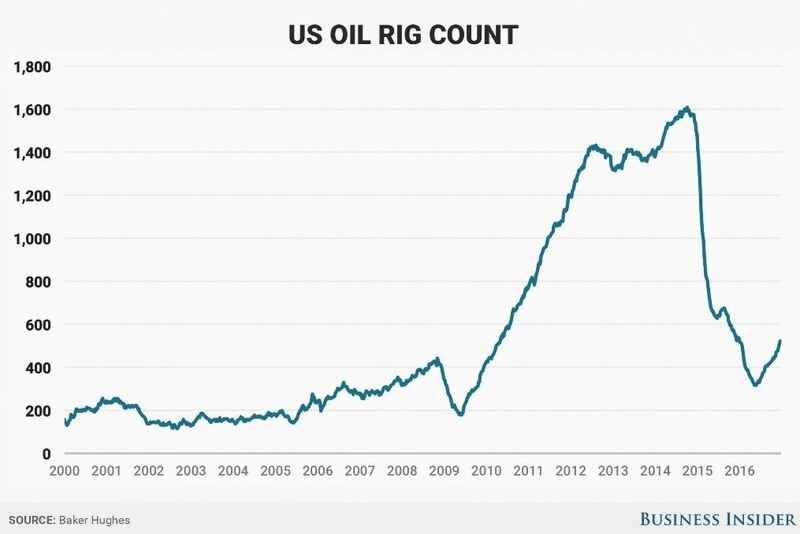 The frenzy to acquire assets has become known as “Permania.” Companies claim they can make money at as little as $40/bbl. 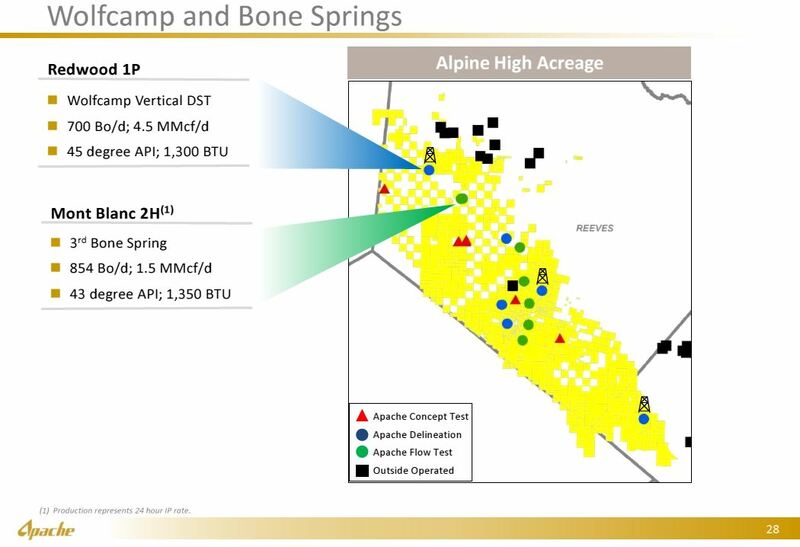 The reason: multiple “stacked” zones in the Permian, principally the Spraberry and Wolfcamp formations, allow multiple wells at different depths on each property. I read an article today saying that Russia Today has been publishing articles critical of hydraulic fracturing in an effort to suppress U.S. shale production and help Russia regain its footing as the world’s largest gas producer. I had never heard of Russia Today, so I looked it up – on Wikipedia, of course. According to Wikipedia, Russia Today is a news TV and news network owned by the Russian government that operates stations out of Moscow and provides internet content in several languages, including Russian and English. It has been accused of being a propaganda outlet for the Russian government and spreading disinformation – now called “false news.” It has indeed published articles highlighting the alleged environmental dangers of hydraulic fracturing. Russia Today alleges that it has 70 million viewers. In light of the recent news about Russian interference in the presidential election, it is interesting that the Russian government is also trying to influence U.S. public opinion for its benefit “in plain sight” with its news/propaganda TV and Internet presence. The Wall Street Journal reported that Sanchez Energy Corp is in talks to buy Anadarko’s leases and production in the Eagle Ford, partnering with Blackstone Group LP, for $3 billion to $3.5 billion. Separately, Sanchez Energy is selling $181 million of “non-core” Eagle Ford leases, about 15,000 acres, to Carrizo Oil & Gas Inc. Carrizo will fund the purchase with sale of 6 million shares of common stock. The Sanchez-Anadarko deal would be a big bite for Sanchez, which has a market cap of $472 million and $1.7 billion in long-term debt. Sanchez entered the Eagle Ford play by buying Hess’s leases, and in 2014 it bought Shell’s lease position for $639 million. Anadarko’s Eagle Ford leases are principally in Dimmit and Webb Counties, including the Briscoe Ranch, in all more than 1600 producing wells.